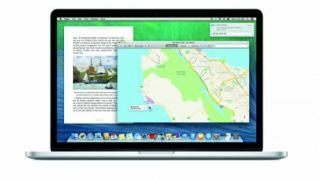 Bad news if you're still using OS X 10.9 Mavericks – Google has quietly dropped Chrome support, forcing users to upgrade to a more modern version of Apple's operating system. Any Chrome fans with an old Mac will need to switch to OS X 10.0 Yosemite or later – or switch to a different browser. The latest versions of Firefox and Vivaldi still support Mavericks, but Opera now requires Yosemite. Alternatively, you could stick with Safari. Check out the 'Updates' tab on the app store to see the latest version available for your OS. Mavericks made its debut in 2013, and all subsequent versions of Apple's operating system were free to download. However, according to web analytics site StatCounter, many people decided to stick with what they knew, and Mavericks is still the operating system of choice for 3.38% of Mac users worldwide. Statista estimates that there are 180 million devices running macOS, which means 6,084,000 people could suddenly find themselves browserless. That's the second piece of bad news for owners of older Macs. At its 2018 WWDC conference, Apple announced that its latest operating system, macOS 10.14 Mojave, won't support Macbooks released before 2012. If your hardware can't keep up, this might be the right time to look for a great deal on new Macbook.